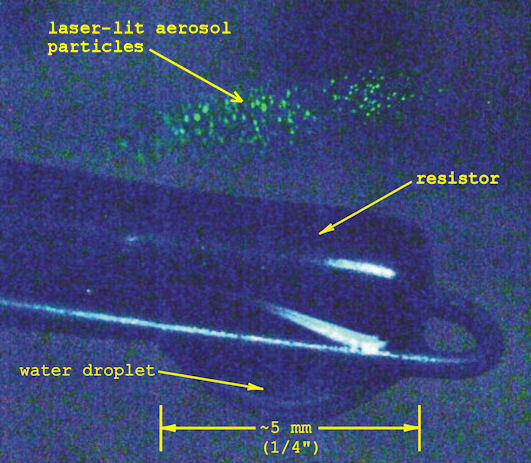 The little green dots near the top of the image above are particles of what is commonly called "steam" -- i.e., aerosol particles which, in this instance, are tiny water droplets rising from water that is boiling off of the hot electrical resistor. 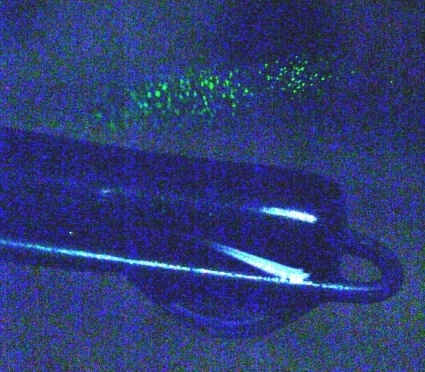 The little droplets of water are lit with a green laser from Radio Shack. 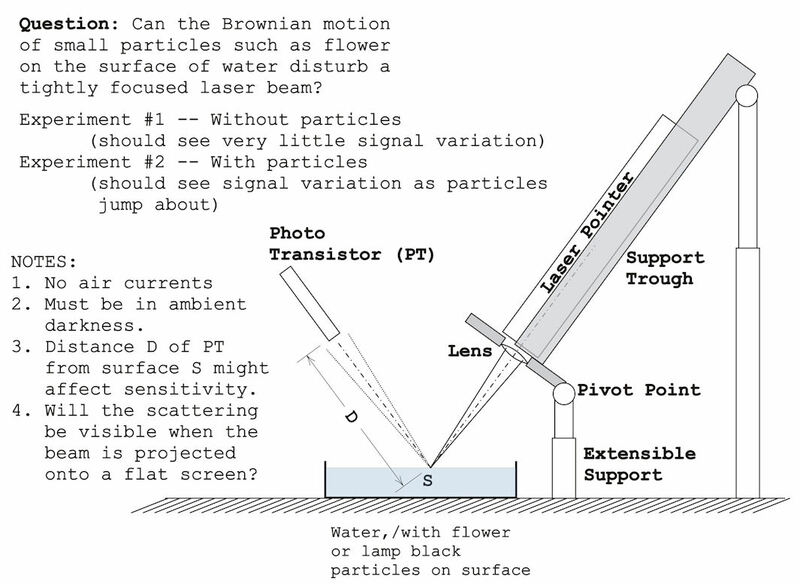 The beam has a diameter of about 1 mm. I had to shoot these images in near total darkness. The "steam" was rising fast from the resistor, so I shot at 1/1500 second, aperture wide open, ASA set at 1600. 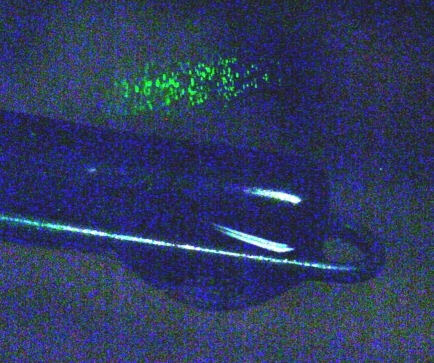 The project now is to focus a red laser beam as tightly as possible, smaller than the size of these little droplets. Then I want to focus it onto the surface of a small amount of water. The goal is to "see," with the reflected light, the motion of little particles on the surface of the water, particles such as those of flower or lamp black, or maybe pollen particles. The motion of the particles on the surface of water is called Brownian Motion. It is said to be caused by the impacts of water molecules, moving in thermal motion, against small particles on the water. Global warming is the increase in the average temperature of Earth's near-surface air and oceans since the mid-20th century and its projected continuation -- Wikipedia.